Right now, our wines are only distributed within the state of Mississippi BY the State of Mississippi! 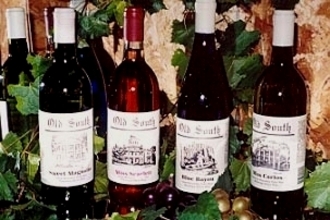 Any business within the state with a wine license, like liquor stores, wine shops, or restaurants, can order Old South wines from the Mississippi ABC. SEVEN of our wines are available through the ABC Warehouse. PRINT this list out and GIVE it to the store manager, specifying which wines you would like them to carry.